These Electoral Commission of Zambia (EZC) election results certificates were confiscated from an electoral officer in the just ended Solwezi Central constituency by-election by alert UPND officials at Kyawama polling station. They were grabbed from an ECZ polling agent on the day of election, a Mr. Samapindi, the school headmaster at Mutanda High School. As you can see, PF paid ECZ electoral officials like this headmaster way before results were counted. These paid ECZ officials later connived with some opposition political parties polling agents to sign the blank results certificate even before counting was done, more like signing a blank cheque for someone. The idea was simple. After counting, the ECZ officials who had been paid by PF were then using the already signed results certificates to insert any figures in their favour depending on the projected voter turnout at a polling station. These are the fake results figures that were then being transmitted to the totaling centers. 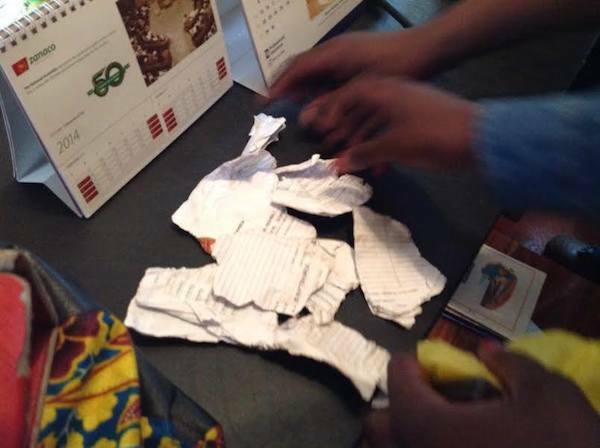 On being cornered, this Headmaster attempted to shred the results certificates and quickly put it in his pocket, but was over-powered by the UPND officials who immediately took him to the police station for criminal offence. But what the opposition parties were not aware is that the system was already fully in use in a number of other polling stations in Zambezi West, Vubwi, Mkushi South and Solwezi Central itself. Opposition political parties should partly blame themselves for wrongly selecting some of their members who became traitors as they were made to sign blank results certificates at a fee, even before counting was done. And what more with the poverty in the typical rural areas, PF were able to buy voters, ECZ officials, and opposition political party agents to make sure they emerged victorious.